A high quality gloss finish. Gives excellent durability to kitchen furniture, internal doors and other joinery products. Approx coverage 14m2 per litre. Drying time 2 hrs. 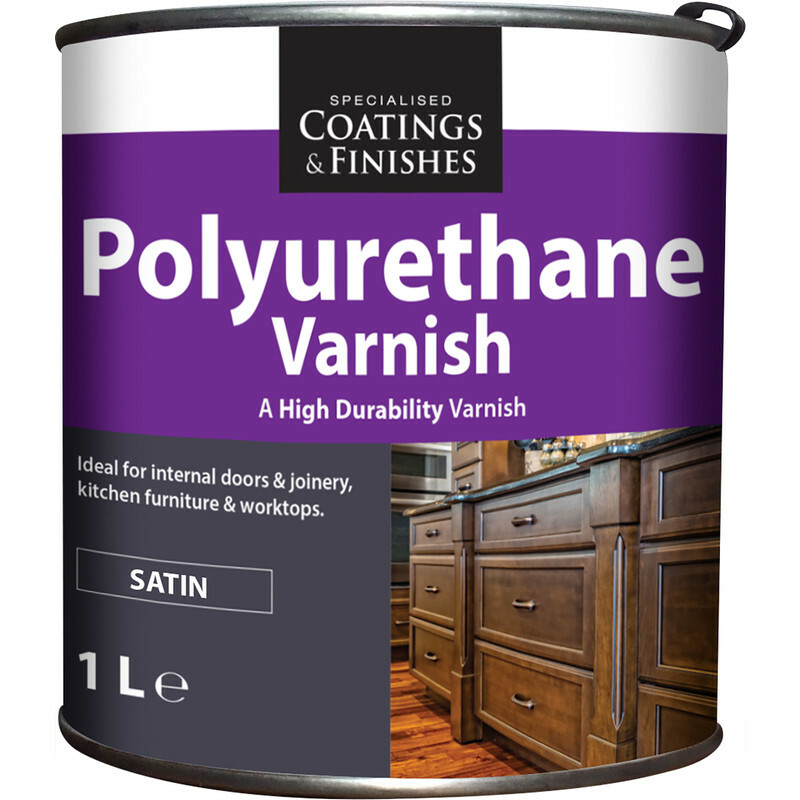 Polyurethane Varnish Satin 1L is rated 3.8 out of 5 by 16. Rated 2 out of 5 by Zero54321 from So called Satin is Gloss This so called Satin Polyurethane Varnish gives a full gloss finish and dries too quickly. Previously, Toolstation sold Flag Satin Polyurethane Varnish. That gave a genuine satin finish and enough drying time. Rated 1 out of 5 by HarryM from Poor Quality Dries patchy and with a slight green tinge. Flag polyerethane varnishes which Toolstation used to stock were fine and Ronseal are always reliable but this stuff is a waste of money. Rated 5 out of 5 by Sparky983 from Excellent product I’ve used this on some oak doors. It gives an excellent finish enhancing the natural wood colour. It’s worth taking the tine to do the job properly by finely sanding beforehand and I also finely sanded between coats. Would highly recommend. Rated 5 out of 5 by jaywill from cheap varnish quality finish read a couple of reviews so I brought it really happy with the results great shine after 2 coats would recommend. Rated 4 out of 5 by Griffy from Varnish Good varnish, though due to the reduction of volatile chemicals and emission it dries quicker than wanted so you need to work fast. That's not just this product but all Polyurethanes. Rated 5 out of 5 by TK Olsen from Great on skirting boards, door frames etc Perfect interior clear satin varnish. Easy to apply and dries reasonably fast. Is particularly hard wearing.